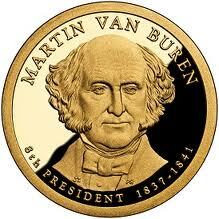 We’re on to Martin Van Buren! Having finished reading Andrew Jackson (who proved much more interesting than expected) I’m on to the eighth president- Martin Van Buren. His is not quite a household name, but the same is true of the next seven or eight presidents (sorry). I first came across MVB not in my high school American History class (nary a mention) or in college (I was a chemical engineer and for some reason his name didn’t come up much)…but in Robert Remini‘s series on Andrew Jackson. And in Remini’s accounts of Jackson’s life Van Buren proved politically astute and surprisingly interesting. If you ever find yourself playing Presidential Jeopardy it’s worth noting that Van Buren is the only US president whose first language was not English (it was Dutch, of course). And he seems to be the first US president to have been born a citizen of the United States. Active in politics as a teenager, he was a New York state senator in his early thirties and was later elected to the US Senate. He was Governor of New York for a matter of weeks before being named Andrew Jackson’s Secretary of State, and served as Jackson’s second-term Vice President. A masterful behind-the-scenes political strategist and thinker, he was instrumental in Jackson’s election in 1828 and may have been President Jackson’s most brilliant political tactician and adviser. The first Martin Van Buren biography I’m reading is “Martin Van Buren: The Romantic Age of American Politics” by John Niven which was published in 1983. 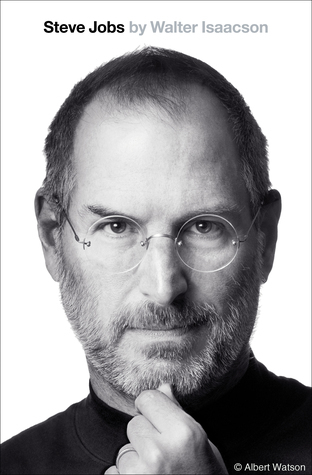 This is a fairly lengthy book at just over six-hundred pages of text. Rumor suggests this is a dense, dry read, and since I’m now pushing past the halfway point in this book…I can energetically confirm that the suspicion is absolutely true. When I first came to San Francisco many years ago I met a typical San Francisco eccentric who invited me to his annual Martin Van Buren seance where, among other things, juicy gossip about Martin’s dalliance with Dolly was gathered from knowledgeable parties in the spirit world. The organizer told the story of how he had come to start this wonderful institution. He recalled that he was in the San Francisco mint one day and had asked a clerk selling commemorative presidential coins which president was the least popular in terms of sold coins. The answer was unequivocally Martin Van Buren so he proceeded to buy all the remaining Martin Van Buren coins, which he distributed freely at the seance if you could correctly answer questions on this eminently forgettable president.